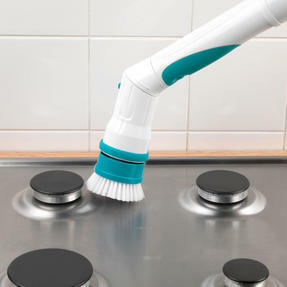 This Prolectrix Cordless Pro Scrub is wonderfully versatile allowing you to clean multiple surfaces including glass, tiles and oven hobs. 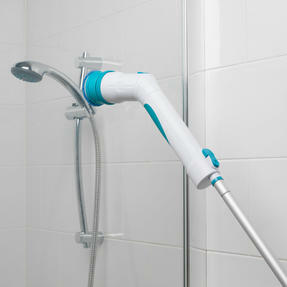 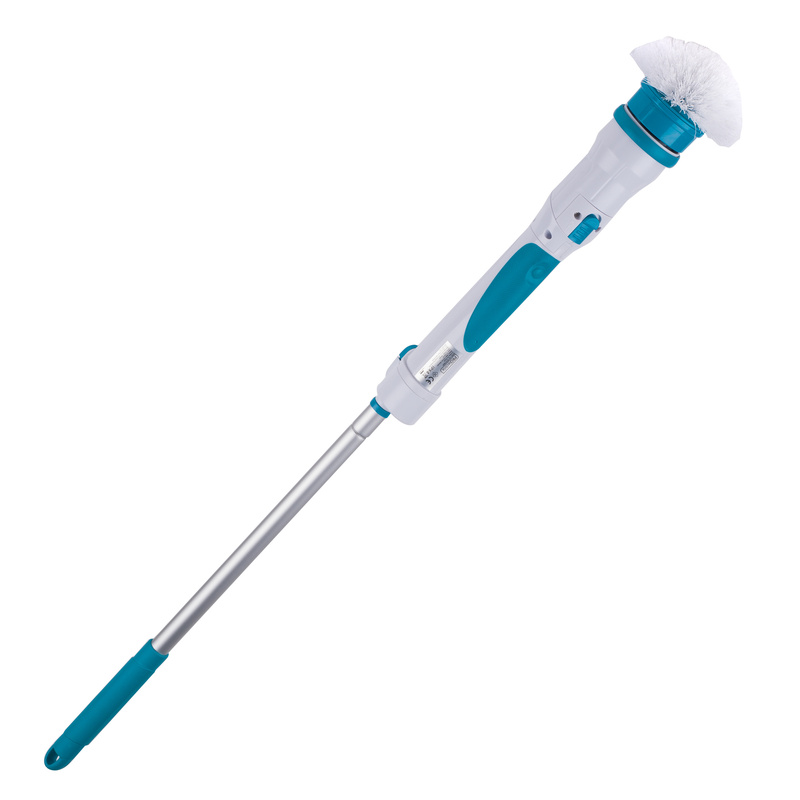 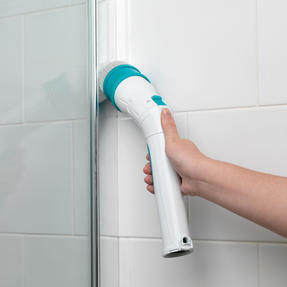 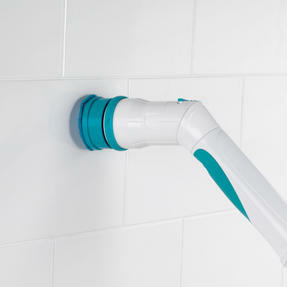 The rotating head is powered by a rechargeable battery and at 150 rpm it is easy to tackle stains and dirt. Featuring an extendable handle and a flex-head, every corner of your home is made easy to reach without ever having to bend or strain. 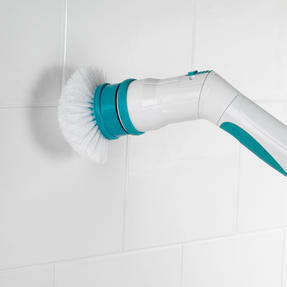 With up to 50 minutes of cordless cleaning from a single charge, this scrubber makes cleaning your home simple. 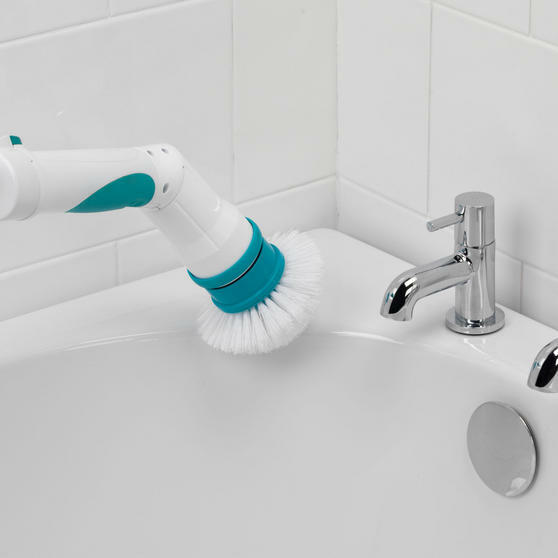 Brilliantly versatile, the Prolectrix cordless scrubber performs on a variety of surfaces including glass, tiles, oven hobs and more. Extending up to 46 inches, the telescopic handle eliminates the need for you to bend and stretch taking the strain away from cleaning. 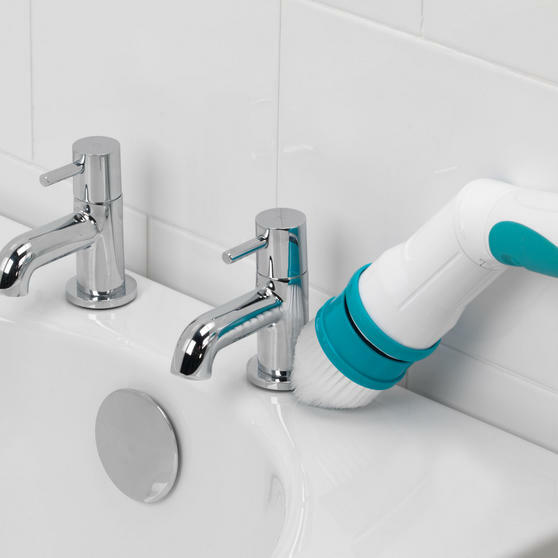 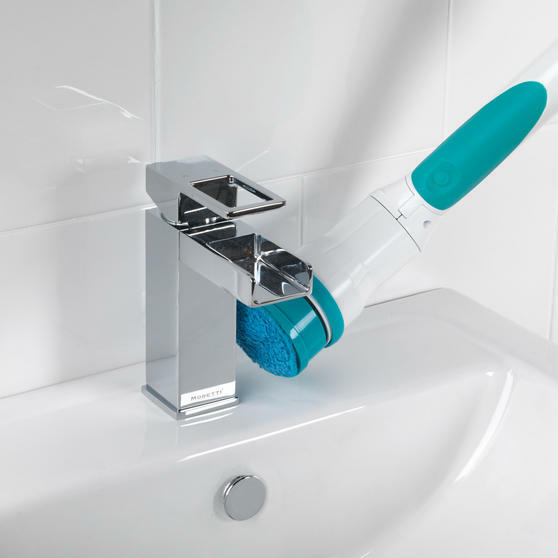 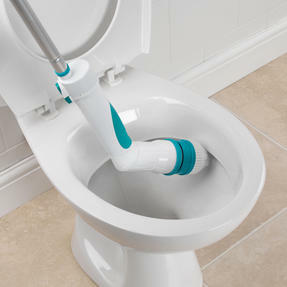 Designed to get to tight corners around taps and other fixtures, the flexi-head makes it easier to get to those awkward areas. 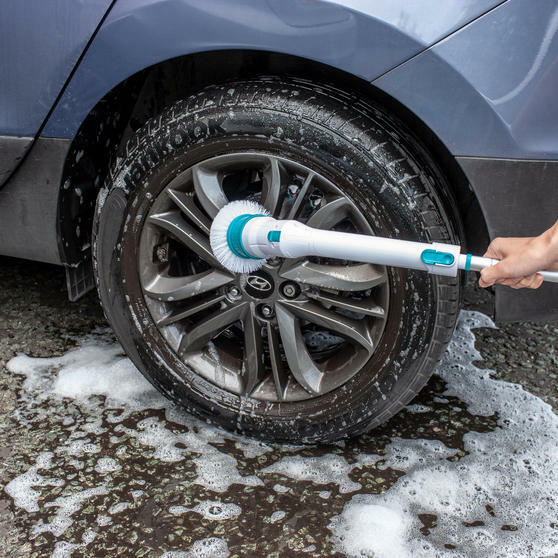 The head of the Scrubber Pro rotates at a powerful 150 rpm so you can tackle dirt and grime effortlessly anywhere in your home.